Cloth diapers have always intrigued me, and I really wanted to try it with my own bambinos. Yes, it’s a weird thing to be excited about, but I was. Being “earthy” gets me all excited and it’s right up there, in my mind, with organization, recycling, and using glass instead of plastic! Plus, most moms who cloth diaper say they love it, AND it helps our planet, pocket book, and Jack’s bum. These all helped in my own decision to try! That being said, you have to do what works with your household and your bambinos. I don’t think any different of friends who don’t cloth diaper. It’s my thing. I get that. To start, I took advice from a couple different blogger moms (here, here and here), and even interacted with a few to ask questions. They were all super positive, and it was even more motivation to try! I nervously bought everything to move forward with my decision and still remember putting that first cloth diap on Jack; I snapped a pic and sent it to the hubs saying, “we’re really doing it!“. Now its second-nature, and I don’t know why I was so nervous. 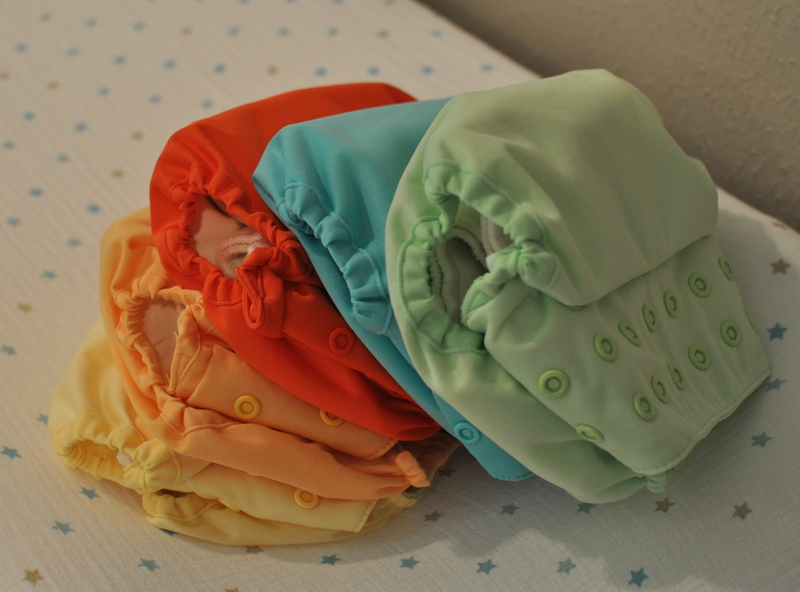 Our cloth diapering routine has been going on for over two months now, and I cannot tell you how easy it is. Honestly, it’s pretty much the same protocol of disposables, but instead you’re throwing them into the diaper pail to be laundered instead of throwing them into the garbage. 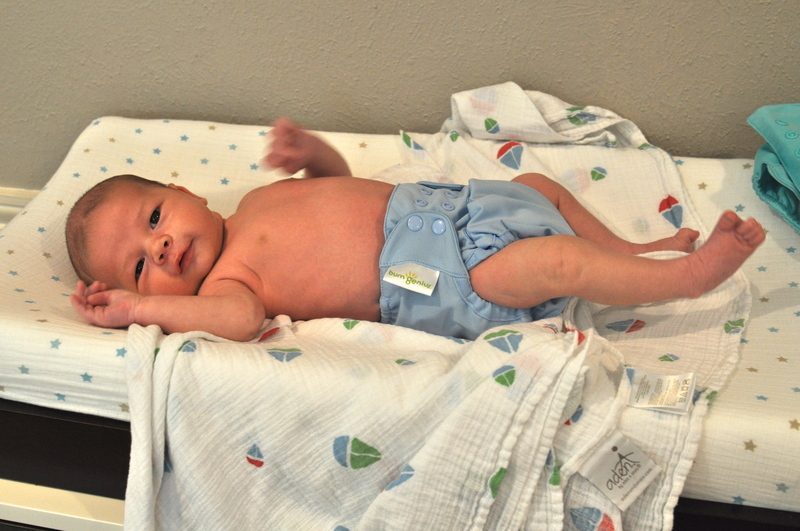 I bought 18 bumGenius Elemental One-Size All-In-One organic cloth diapers for Jack. The cloth diapers we went with mandated that Jack be at least 8 pounds before using them, so I waited until his 2 week appointment to confirm he was back up over 8 pounds and started at that point. The plan is to have them grow with him until he’s out of diapers! Eighteen diapers until he’s potty trained? I hope so! Plus, if we have another kiddo, we could use them for him/her. Jack’s excited about it, too! We (obviously) just use the diapers like the disposable ones. Change when wet or soiled. I got an Ubbi diaper pail as a baby shower gift and bought two Ubbi diaper pail liners which can be washed and used again. When the diaper is wet, we just put them directly into the pail. 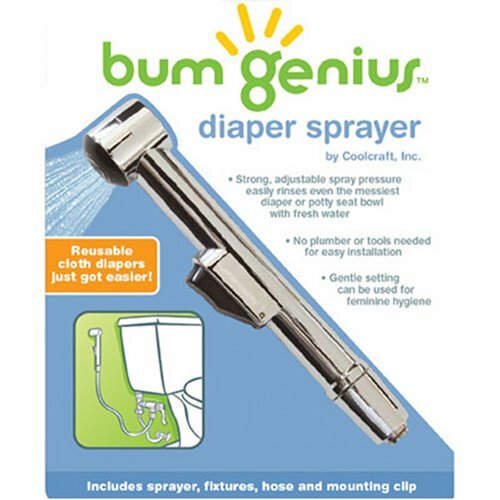 When the diaper is soiled, we use the bumGenius diaper sprayer. We give the diaper a quick spray and put it into the pail. For wipes, we use disposable. I know people use cloth wipes too, but having a little moisture to wipe is nice. Plus, this was the only way the hubs was on board. 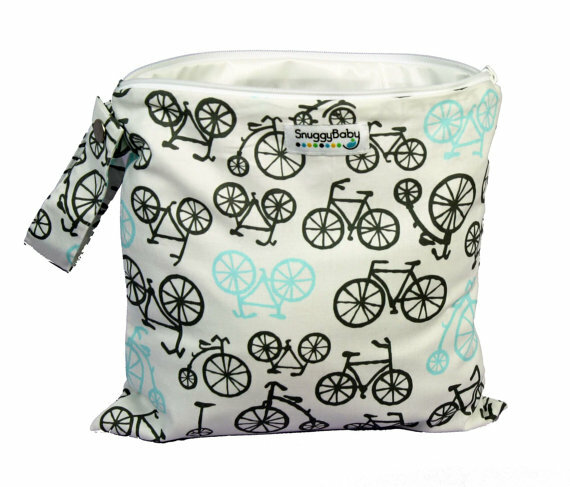 We put the used wipes in a separate wet bag which you can get on Etsy (that’s where we got ours), Planet Wise (I have one in my diaper bag), or most baby stores. Once I’m down to 2 or 3 unused diaps, it’s about every-day-and-a-half, I grab the diaper pail bag and throw them (including the bag) into the wash. I wash them on heavy duty (stained cycle) with extra rinse and use Charlie’s Powder Laundry Soap, which claims to help preserve the diapers longer. One less thing to put on my grocery list! I mostly dry them on delicate in the dryer, but if its nice out, I put them on a hanging rack and set them outside. They come out perfectly new and clean every time! It makes me so happy! Plus, if you ever do have stains, you can just set them in the sun to dry and it will naturally bleach it away! Amazing, right?! As for negatives, I must say when we first started using the cloth diapers, Jack was pretty little. So on about three occasions it seeped out the side. Gross! This made for a mess, but once his little legs filled in (a week later) we never had that problem again! Plus, I got better at the cloth placement in the diaper, which may have been the culprit all along! Another positive is that when we used disposables (the first two weeks and when we travel out of town), Jack gets a serious diaper rash, even though we change them more frequently than we do with cloth. 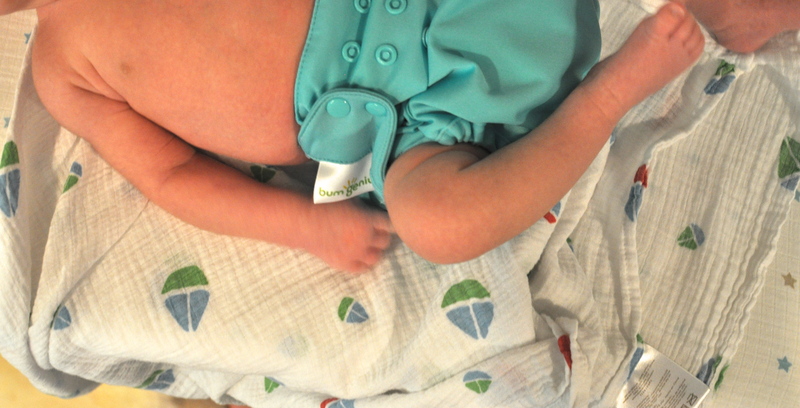 I think the organic cloth saves his little bum from getting a rash, which makes a mama happy. As you can see, we really like the diapers, and the system in our household is working great. 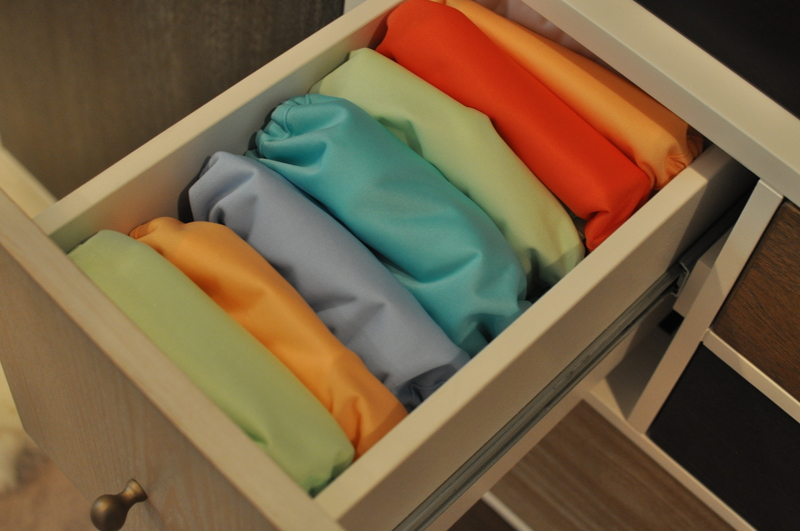 If you are considering cloth diapering and have any questions or concerns, please feel free to write! 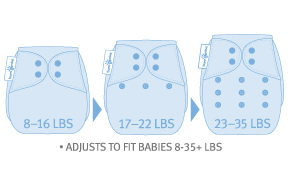 Cloth diapering for the win! This makes me so excited. We recently found out we are having #3 and I’m switching over to cloth for the babe and big bro.